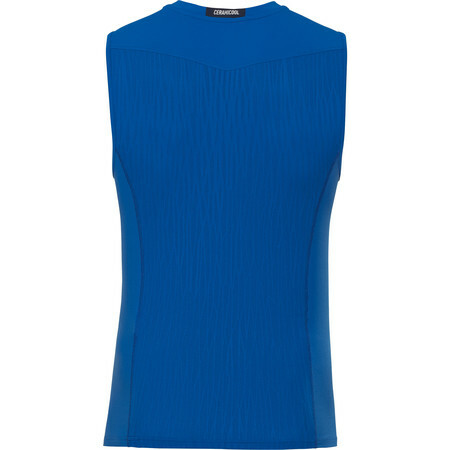 This Odlo vest is perfect for your race day or any training day. 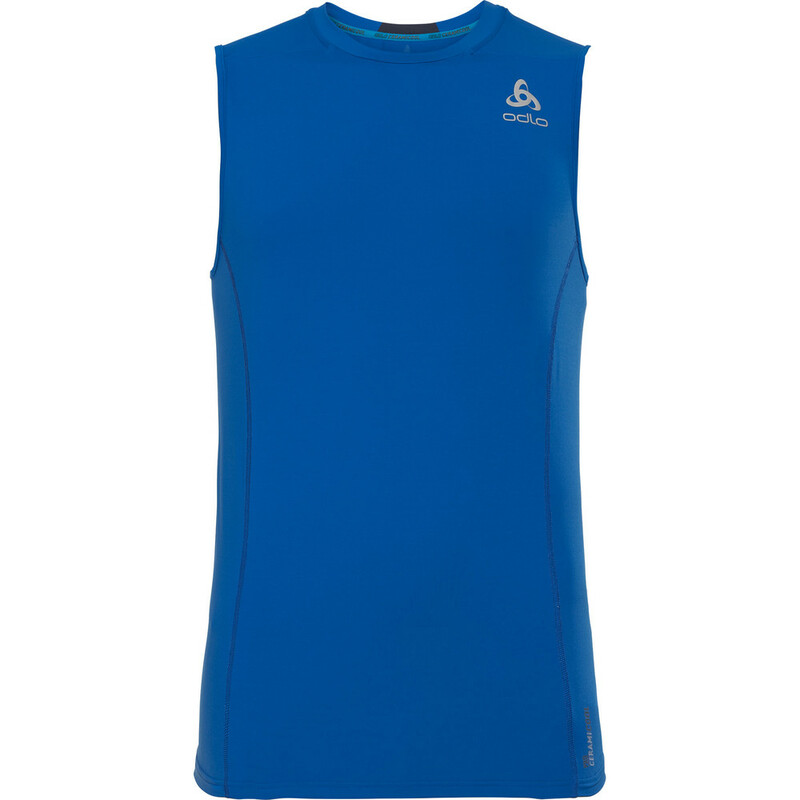 Using the new Ceramicool technology this singlet will not just help you keep dry and comfortable, but also reduces your skin temperature. 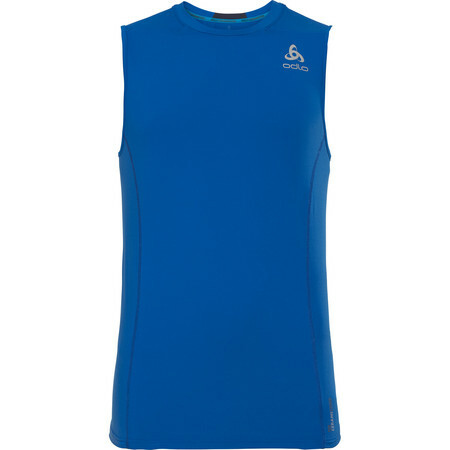 So even when you are training hard or the temperatures are soaring, your body stays cool and you can focus on your goal making this singlet ideal for a race day or long distance running. Ceramicool uses a new technology to cool the body. Integrated ceramic microparticles increase the surface of the fabric and the cross-shaped profile of the fibres creates tiny air channels that quickly draws heat away from the body. 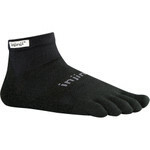 This technology combined with the natural cooling properties of ceramics to keep the body cool and comfortable even when the temperature are high.